As soon as I sat down to write my first novel Daughters of Iraq, I discovered that I had a voice, and that my voice needed to be heard. When I first started writing, I had a vision, and I had a mission to complete. I knew that my family history should be told, and after giving it a lot of thought, I decided that the best way to reach the most people I could reach, and tell this story, should be through a historical fiction book. I thought I learned best through stories, and now that I even think about it more, I realize that stories from generations to generations keep history alive even before the invention of paper. I saw my voice as the voice of so many silent voices that are forgotten. I thought that telling the story of the Jews of Iraq would put those people on papers of history, and without it, they will forever be lost. I admit it was and still is a heavy weight on my (not so wide) shoulders. I wrote the story, and I give lectures all over the world to whomever invites me, and I tell their story, and I revive some Jewish history past that is hidden, and not so well known as the European Jewish history part. But, there were Jews all over the world, including in Arab countries. You will not find many of them today in Iraq, Syria, Lebanon, Tunisia, Libya and other places. If you are interested in learning why, you will find some answers in my book. It took a very long time for me to realize that I am actually an author, and this title really describes who I am. Besides being a mom, a wife, a daughter etc., it was the first time in my life to really appreciate what I have done with my life for myself. I am very proud and happy to carry the other titles too, but this one is was totally mine and for myself, and I love so much what I am doing. I love writing, and I love passing my ideas and thoughts to others. I see that as one of the best gifts I’ve ever received in my life. It’s wonderful you were able to heed the call. Not only do you give a voice to a voiceless people, you also gave yourself a voice as an individual. How did you come up with the title of Daughters of Iraq? 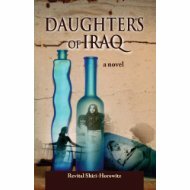 Daughters of Iraq was written as an honor to life and women who are forgotten. I wanted to expose their story to the public, and was able to do so through the book I have written. It is a story of three women and two generations, and for me, being an immigrant myself (I moved to the United States from Israel), I was able to go deep into emotions and even places I have never been (Iraq), and yet be able to describe the lively Jewish life more than 150,000 people have experienced. Being an immigrant is a very unique experience that so many people go through, and yet it’s so hard to pass the feelings of not being understood, or not being able to describe feelings and places to other people who have not experienced it. It is very different then visiting a place, and it is more of bringing your traditions and country with you. This is how those women felt when they immigrated to Israel, and so many times it was hard to close on gaps between generations, when parents were raised in different places than their kids. I can only imagine how difficult that must be, but through books such as yours, we can attempt to understand the experiences of others. What is unique to your book? What do you think people who buy your book find in it? Why do they like it? I think there are a few unique things in the book. First, it takes the readers back to Iraq of the mid-twentieth century. It also takes the readers back to historic events in Iraq and in the newly established country of Israel. The book bounces between places and time, and I really like reading those kind of books, and know by now that many readers like it, too. Yes, I am. I am actually on the final steps of my second novel Hope to See You Soon. It is a story of two women who are best friends. One lives in Israel and the other in Seattle. The book explores what time has done to their life and friendship. Each one of them was jealous of the other for many years. One is jealous for not traveling and staying in one place, and the other one is jealous for that same reason, but from the other side: She wished she would have stayed in one place. It is interesting to see that after all, everyone has their own destiny and needs to be happy with their own lives. That is so true. It’s taken many years to realize that grass is never greener somewhere else. I’m sure this book will be a very interesting exploration of that discovery. I’m so happy you stopped by for a visit today, Revital. Congratulations on the success of Daughters of Iraq and finding a way to express the experiences of those who are no longer able to tell their stories. About Revital Shiri-Horowitz: Revital Shiri-Horowitz is an experienced teacher and presenter to Jewish communities and audiences. Using her own life story and excerpts of her novel, Revital Shiri-Horowitz generates a warm and uplifting experience for the listener. 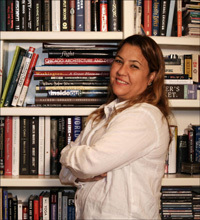 Her overall mission is to connect her audiences to their roots so that they can be closer to themselves. Based in Seattle, Washington, and in Israel, Revital is the mother of four boys, married to Amnon for twenty years, writes poetry, runs a blog in “Haaretz,” an Israeli newspaper, and is working on a second novel. 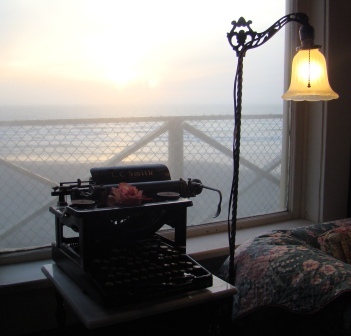 This entry was posted in Author Wednesday, Ramblings of a Writer and tagged amazon.com, author voice, authors, characters, fiction, historical fiction, immigrants, Iraq, Israel, Jewish, Jews, novel, writers, writing. Bookmark the permalink. I had Revital on my blog earlier this year and could not recommend her book highly enough. Oh my goodness! Awesome article dude! Many thanks, However I am encountering troubles with your RSS. I don’t understand why I am unable to subscribe to it. Is there anybody getting the same RSS issues? Anybody who knows the answer will you kindly respond? Thanx!! I’m not sure, Gregory. I’ll look into that. I hope it’s not the case with others. Thank you, Edith. I’m so pleased you stopped by and enjoyed the visit. An incredible bio! This book sounds so interesting – I love to learn about the Jewish people. I’ll be reading this one. I agree. It’s on my Kindle to read. I’m very far behind, but I have some wonderful books to read, such as yours and Revital’s. Revital expressed it so well. It is a gift.